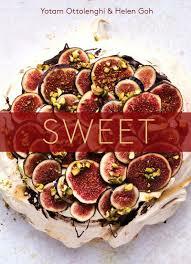 Sweet – a very delicious new baking and dessert cookbook from Yatam Ottolenghi and Helen Goh. Recipes that feature exotic spices and Mediterranean flavours, all beautifully photographed. A History of Canada in Ten Maps by Adam Shoalts, a modern day explorer, tells epic stories of charting a mysterious land by explorers from the past. Uncle John’s Old Faithful Bathroom Reader. The 30th Anniversary edition is an all-new fount of facts! 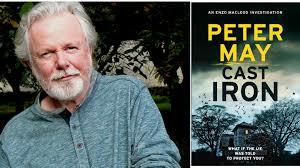 Peter May is back with Cast Iron the 6th and final Enzo Macleod mystery that takes place in the present time with a past that goes back to 1989 and an incident in Western France. 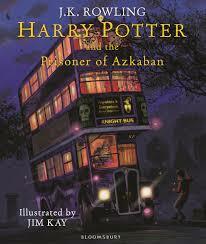 Harry Potter and the Prisoner of Azkaban is the 3rd volume in the series to be illustrated by Jim Kay. A great big beautiful book for a family read-aloud. Turtles All The Way Down by John Green. A novel for teens about love, resilience and the power of friendship from the author of the hugely popular A Fault in Our Stars. Rick Riordan is the most popular of all authors for teens – The Ship of the Dead is the 3rd in the Magnus Chase and the Gods of Asgard series.